Hello and welcome back to my website. This day I want to share with you a light topic about anime. Well, I believe there are so much Otaku people all around the world. I also believe that you come here not by an accident, right? From what I can see, you come here because of two reasons. First, you come because you are interested in my title and second, you come because you want to nostalgic with manga and anime about the Great Teacher Onizuka, right? So, without spending any more time, I will start my review now. Who does not know about Eikichi Onizuka? The main protagonist with a past of antagonist character that has a unique way of life and also has a weird dream and hobby. Eikichi is a proof that we can’t judge a people by its past and its cover. In the past when he was still a senior high school student, Eikichi is the leader of a motorcycle gang. Eikichi has a friend that always support his will to become a teacher. Even though sometimes he doubts that Eikichi will survive on this job because he knows him for so long and know that he can’t become a good teacher. 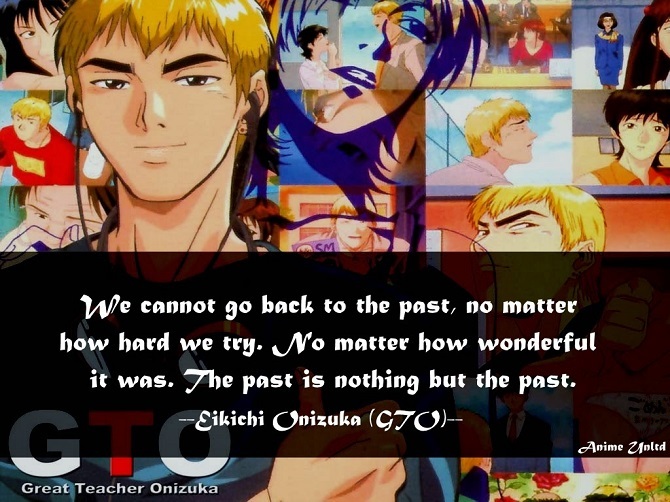 Great Teacher Onizuka or sometimes called GTO is published in Japan by Kodansha but written by Tohru Fujisawa and become a first serial manga on May 16, 1997, until April 17, 2002. So far, GTO already makes around 25 volumes and maybe can keep increasing up. 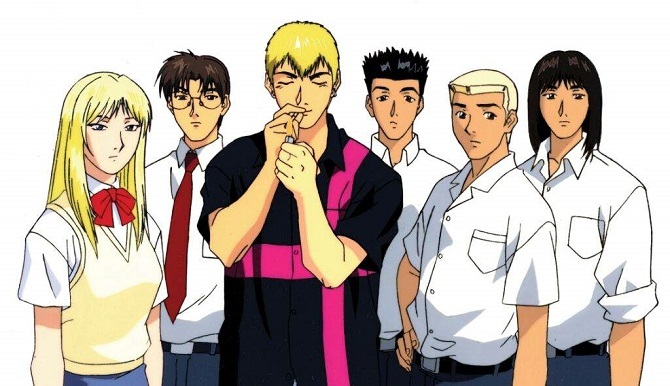 Even though the manga hit popular so fast, the launch of Great Teacher Onizuka anime is delayed for around 2 years after the manga published. Under the license of Madman Entertainment for Australia and Discotek Media for NA. However, even though the popularity of this manga and anime is really high. This anime can’t be read or watch by people under 15. Why do I say that? Well, it’s because these anime include sexual content and any 18+ things on this anime. That’s also why several countries block this anime and manga and finally prohibit them from coming into their country. Unfortunately, there are too much website that provides a download link or a place for streaming if you want to watch Great Teacher Onizuka online. Well, the only thing you need to do is you need to tell them that this anime is a bit above their age. If they still insist on watching this anime, you need to warn and tell them to not follow any action that happens in this anime. Well, there are a lot of things that you need to watch before watching anime or reading a manga. Well, if you think my article today about the great teacher Onizuka is interesting enough for you. If you think my article today is useful and interesting enough for you, please share my article today with the other Animanga lover. Well, I hope you will come to my next article so we can meet again. Thanks for sparing a few minutes to read my article today. See you and have a nice day guys.